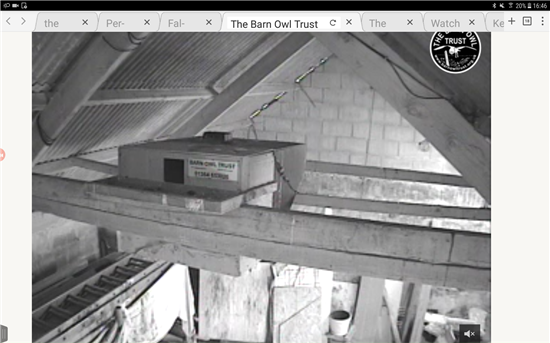 Has nicked off to far right middle beam ... can see his/ her legs! Still on Middle beam, waiting for some one to join it. 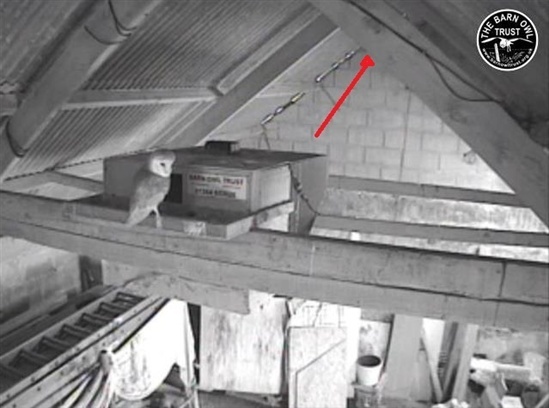 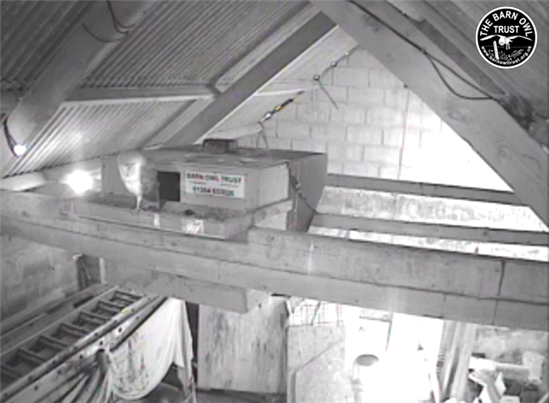 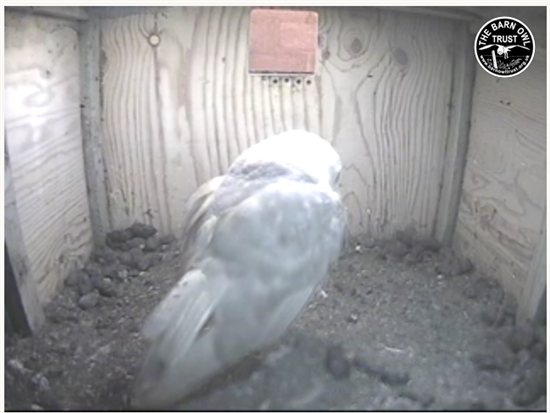 18th – there is what looks to be a male Barn Owl actually at roost in the nestbox this morning, after first visiting the nestbox and tray yesterday evening. 16th – brief overnight visits to the barn by a single bird have become the norm in recent weeks and last night was no exception. 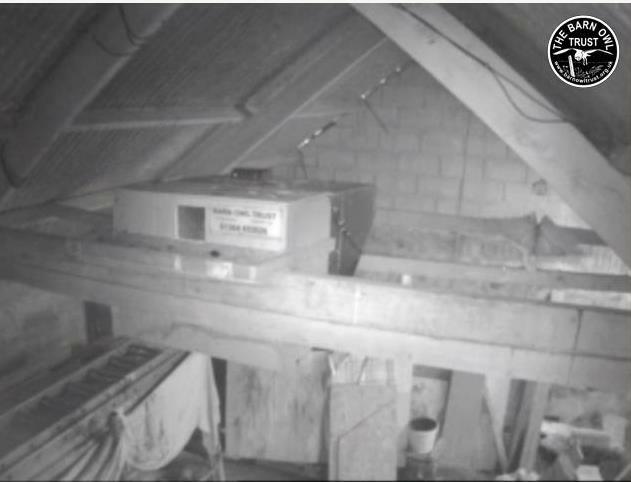 Nt a great deal of movement just now ...or is my pic frozed? 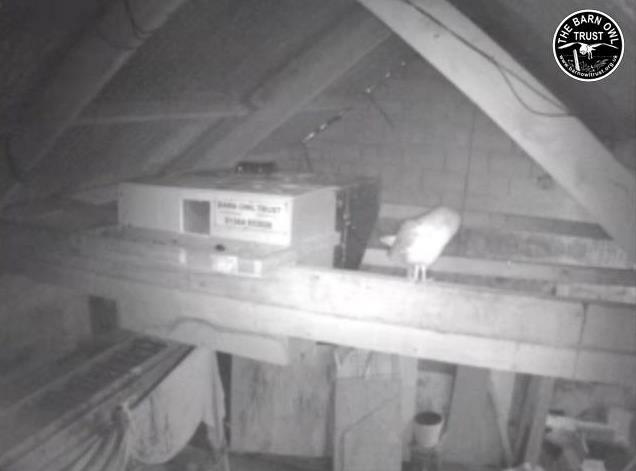 It's been busy preening, Wendy. LS ok for you? 21:14 It disappeared as I was writing. Streaming came back but can see no-one now!